Rochambeau The French International School admits qualified students of all nationalities, race, origin, or economic status to all the programs and activities made available to the students by the school. New Applicants: The admission application is a two-part process online. Please see sections below for online forms, required documents, and links. Enrolled students: Re-enrollment for our enrolled students opens after the board has validated the tuition and transportation fees for the following school year. Rochambeau reserves the right to deny continued enrollment or re-enrollment to any student in accordance with the Annual Tuition and Fees Contract. Application deadline: Rolling admissions based on availability. Notification: March 1, 2019 for completed applications received before the January 12. Priority is given to families with siblings already enrolled at Rochambeau. Part 1 requires a $100 non-refundable application fee paid online with a bank card. A letter of motivation by the parents outlining the reasons for applying to Rochambeau. Please elaborate your choice of the French language and curriculum and how it fits with your child and family's plan. A scan of your child's current year and previous year's report cards or evaluation reports. If your child is applying for 6th through 12th grade, he/she must submit a short (two paragraphs maximum), handwritten motivation letter in French. It should include their academic and personal interests. If your child is applying for 11th (1ère) through 12th grade (Terminale), 8th (4ème) and 9th (3ème) grade report cards are required. 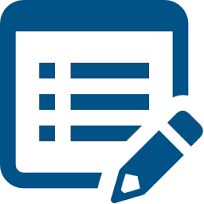 The completed application includes a recommendation form from a teacher or caretaker. Once we have received all the required documents and the recommendation forms sent by your teachers, we may contact you to organize an evaluation. The admission application is a two-part process online. Applications are reviewed on a rolling admissions basis. Priority is given to families with siblings already enrolled at Rochambeau. There is a $100 non-refundable application fee per student which is to be paid online with a bank card. A letter of motivation by the parents outlining the reasons for applying to Rochambeau and your desired start date. If the student is not attending school or the nursery/pre-school does not issue a report, please contact admissions. A recommendation form is required for all students applying. Recommendation forms are required for all students applying to Rochambeau. Parents - Please copy and paste the link below and send it to the person you have asked to fill out the recommendation form. The information is contained in the form. The admissions process starts with understanding if your child is eligible to apply in terms of age and language requirements. The French Education system runs on the calendar year. With the exception of early pre-school, students must be 3-years old by December 31 to enter into Pre-school at the start of the academic year. Children entering the early pre-school must be 2-years old at the start of the academic year, or before September 1st. Please review the chart that will help you determine to which grade your child should apply. If you are applying from a non-French school that does not have the same age requirements, the final grade will be determined by the student assessment, teacher evaluations, and report cards. • From Nursery (Age 2) to 3rd grade: there is no language prerequisite. Students in the Maternelle (pre-school - K) are immersed in the French and English classes. Beginners receive language language reinforcement. In Elementary school (1st-3rd grade), non-French speaking children enter into a special French Immersion program. • 4th grade through 12th: Students must demonstrate age-appropriate understanding and linguistic competence in French. Students must pass a French language and Math entry evaluation. Rochambeau offers the French curriculum with a strong native-level English component. Children will be learning in two languages and exposed to different pedagogical methods. This enriching, yet ambitious objective means that the student and his/her family must be highly motivated and open-minded, ready to take on the challenges of Rochambeau's pedagogical philosophy. Supplements are required in the application, and students will be tested and interviewed to confirm acceptance. At Rochambeau, we offer a unique program to extend our bilingual and bicultural advantage to children who do not speak French or have a limited knowledge of the language. As of age 2, non-French speaking children can enter directly into the 1st four years of preschool in our bilingual program, or starting in 1st grade and up to 3rd grade, student can integrate a specially adapted French Immersion program. For more information: Experience/Elementary/French Immersion or contact us by filling out an inquiry form and attend an Open House. • All students coming from a school accredited by the French Ministry of Education (Schools in France, AEFE, RMLF) are accepted based on their school records. Rochambeau reserves the right on a case by case basis to offer a conditional acceptance, request additional teacher recommendation, interviews, or require additional school work, or deny admissions. English and foreign language evaluations will be given to place the children in the English and foreign language classes during the first week of school. • Students applying to 1st grade through 12th, coming from a school not accredited by the French Ministry of Education, such as a local private or public US school, a French Immersion school, or a European school must take an entrance exam in French and Math, and other subjects depending upon the grade or choice of baccalauréat to validate admissions. • Students applying to the maternelle not attending a school or daycare not accredited by the French Ministry of Education may be invited to attend an observation session. For students living abroad, exams may be organized by a local accredited AEFE school, or in the summer before the start of school. Conditional acceptances will be made based on admissions application. The admissions committee will send out decision letters in early March to applicants. The acceptance letter to qualifying applications will provide a link and password to access our online enrollment form and contract to officially enroll your child(ren) at our school. Facts Tuition Management is a mechanism for the payment of tuition allowing you to pay in full or in monthly installments. Please note that you need an American bank account to enroll in FACTS. If you do not yet have a US bank account, we will bill you for the first tuition payment until you are able to open a FACTS account. I do not have a US bank account yet, how can I complete the enrollment process? 4. If your company is covering tuition costs, you will indicate the contact and billing information on the payment section of the enrollment form. For more details on FACTS or Tuition payment, please refer to the Tuition and Fees. For information on Financial Aid, please refer to the Financial Aid. We are very excited to welcome you to Rochambeau, The French International School. For many of you, this will be a big change, either because you are moving to a new country, a new home, or simply a new school. We strive to accompany you through this transition with the support of the Rochambeau community. Please review the information below. More information will be updated over the next months and before the 1st day of school on August 28th. June 1: deadline to register for transportation to ride at the start of the school year. Saturday June 15: Spring Fair on Rochambeau Forest Campus. New family reception at 11:30am in the library (CDI). Mid-June: deadline to order books for middle and high school (6th – 12th grade). Details posted online in June. Friday, August 23: New family orientation for 5th grade – 12th grade (CM2 –T) from 2-5pm. Monday, August 26: New family orientation for Maternelle (Nursery-K) from 9am – 12pm; for Elementary (1st – 4th grade) from 2pm – 5pm. > Final report cards: All last semester/trimester report cards are to be submitted by July 15. For students coming from in US Middle or High school, please request an official transcript from the registrar’s office. The exeat is only required from students coming from French or AEFE schools. These documents are required for admissions. > Visiting the school: Since many of our families are coming from all over the world, an orientation day is planned before the start of school. This is the best way time to discover the school and meet staff and teachers and other families. There is no visits of the campuses organized over the summer. 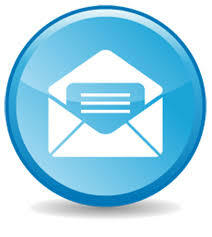 > Parent ambassadors: volunteer parents will be reaching out to the new families via email. They are there to help facilitate your transition to Rochambeau. For issues regarding admissions, billing, medical information or transportation, or other specific questions, please contact the Rochambeau school contact. > Supply lists and books and summer reading: Information is posted on the parent portal in June. > Club activities and after school study hall or care (only available as of 1st grade): Registration and information will be sent in August.